Maple Leaves and Samaras by Jenny Pries - on Twine. 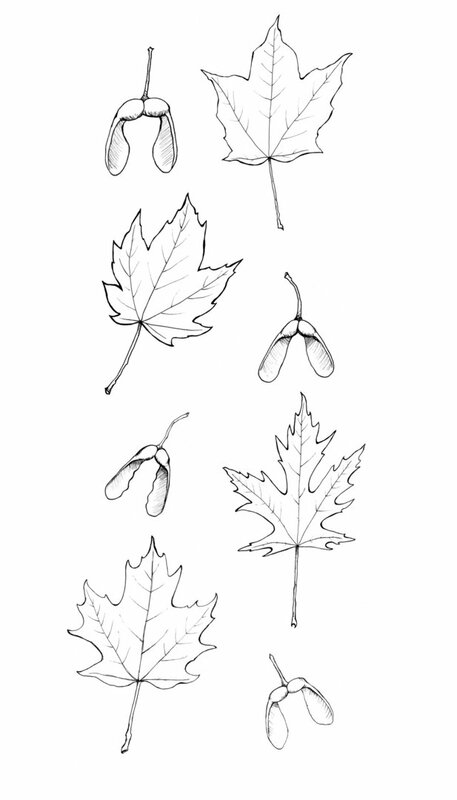 I created these illustrations to be used in a book called Sweet Maple (going to print Fall 2019) I drew the leaves and samaras for 4 different species of maple tree. The job involved doing my on research and translating the differences in art. To go with the overall design of the book - which has a clean and contemporary look - I created a very linear, clean image with a transparent background for each of the leaves and samaras. That way they could place them in the book and resize as they needed. I have placed all 8 illustrations on this page to use in my portfolio, and to show the differences. uniE621 Concept art of Pumpkinhead in my new book, "Dystopia"